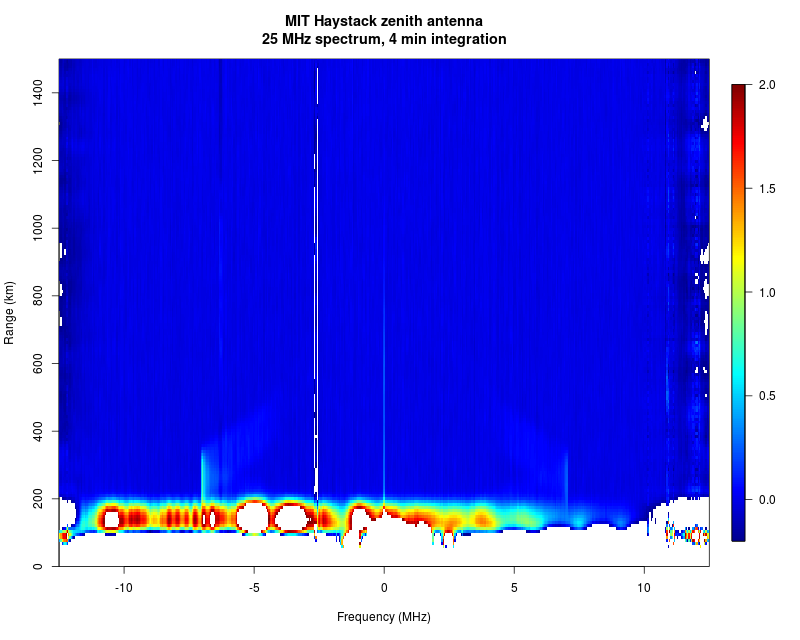 We installed some new digital wide band receivers at MIT Haystack and are now testing them. 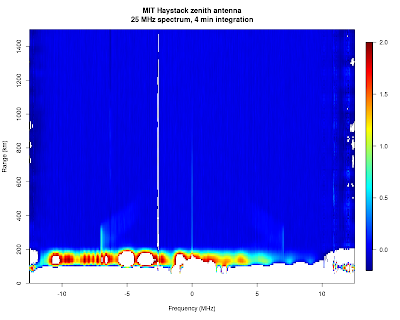 To our surprise, we can get nice plasma line measurements, even in the horrible RFI environment. 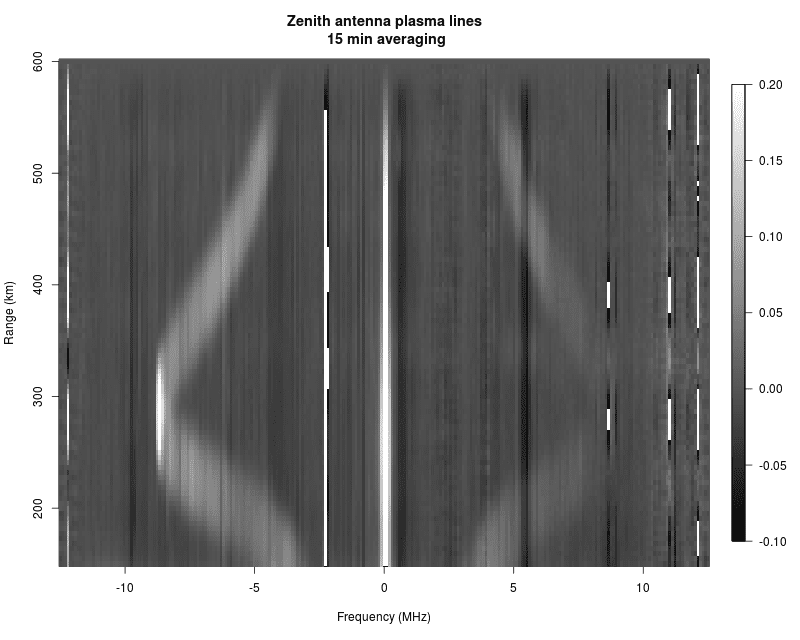 We can actually trace the plasma line profile all the way up to about 600 km. Hopefully we'll soon be able to incorporate these measurements to our routine observations. 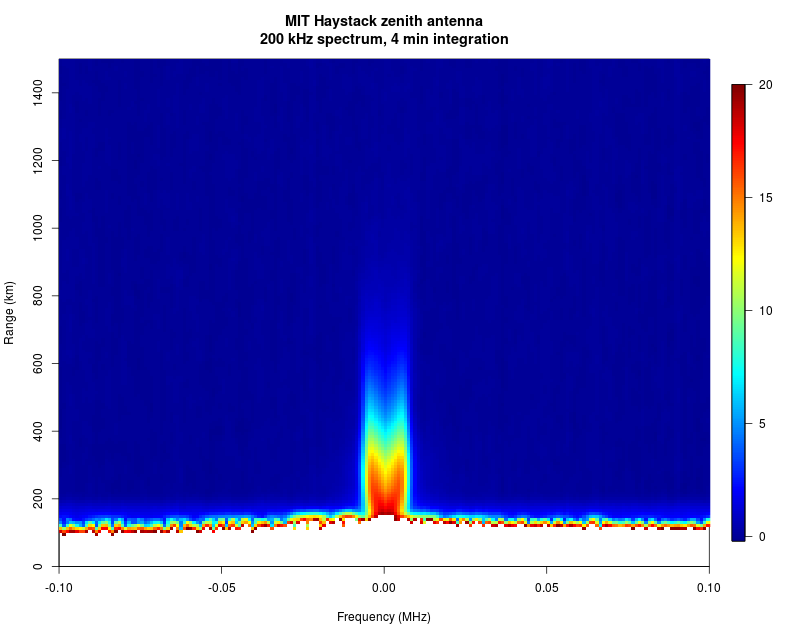 At the F-region peak, plasma lines show up nicely already after a few seconds of intergration, which offers a way to accurately calibrate received power with very high time resolution. 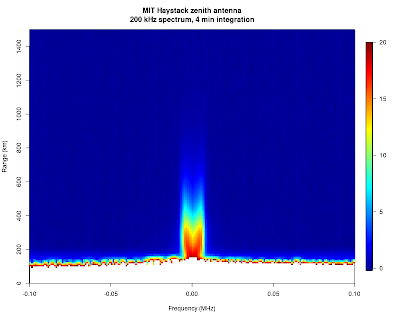 The only problematic thing that we noticed is that the antenna or feed gain seems to be somewhat lower on the top end of the band, which causes the up-shifted lines to be attenuated. Plasma lines from 480 us pulse length. Pretty good plots. Are these off-the-shelf digital receivers? Yes. These are off-the-shelf USRP N210 receivers.